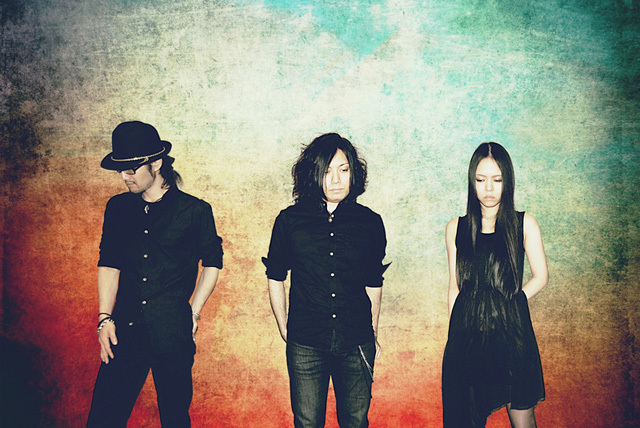 AYANO is a band formed in 2006 by an experienced bassist yj(Vo/Gt). After changing members a couple of times, yj decided to pursue the best combination of artistry and entertainment, and he landed on the concept of music as an art form. His first attempt was to organize a concert at a planetarium featuring a VJ to combine stars, videos and music. The second was to invite two violinists to showcase the classical side of the band, successfully featuring AYANO’s artistic world over the layer of the band, violin and videos. The third was a food-educational workshop by Kazumi Miyazawa, an art-nutritionist at Mampuku Hojin. The workshop offered edible art, dishes inspired from the songs, and the process of food making was synched with the videos selected by the DJ. The event ended as a big success. AYANO is a post-rock band that searches for the new expression.